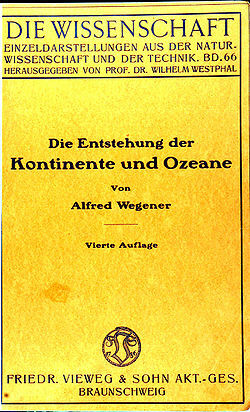 On Saturday, January 6, 1912, Wegener presented a lecture that unveiled his hypothesis of a supercontinent and the idea that it fractured into our modern continents. He gave his talk to the German Geological Society at the Senckenberg Museum in Frankfurt. Probably no one in attendance believed his notion – they knew that the continents were fixed rigidly in place. Wegener finished to disinterested and polite applause. It was the sort of speculative lecture suited for the Saturday afternoon it was given. Graduate students listened, few questions were asked, and the meteorologist Alfred Wegener was expected to return to launching his weather balloons in Greenland. 4) Tropical plants once thrived in Antarctica while glaciers scratched striations, or grooves, into rocks in North Africa – occurrences best explained by continents moving across climate zones. Thus, he presented Pangaea, his conglomeration of all the continents clustered into an ancient supercontinent. On Pangaea, freely roaming lifeforms had scattered their fossils and mountain ranges and ore deposits were continuous. According to Wegener, some unknown force caused Pangaea to break up, separating fossils and ores alike. 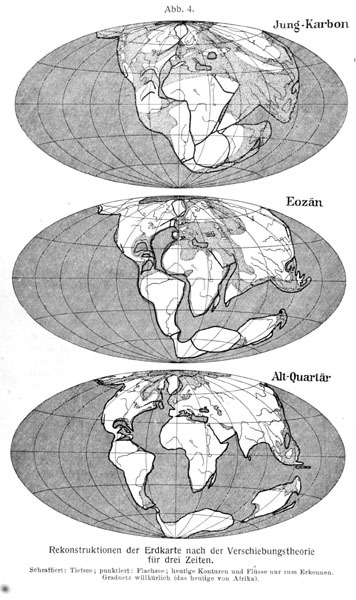 The old supercontinent’s pieces slid about on the Earth, arriving at the positions we are familiar with on today’s maps. Although the circumstantial evidence was significant, without a massive power source to displace the continents, it was difficult for established scientists to seriously consider his idea. At the Frankfurt meeting, Wegener had said, “the forces that displace continents are the same as those that produce great fold-mountain ranges. Continental displacement, faults, and compressions, earthquakes, volcanoes, transgression cycles, and polar wandering are undoubtedly connected on a grand scale.” They undoubtedly are, though Wegener had not discovered the mysterious forces. Wegener described the continents splitting, gliding, wandering, and colliding but he could not propose any engine strong enough to propel them. Nor could he explain why there were apparently no trails gouged into the seafloor behind the continents, scratched into the substrate as they plowed along. The idea that rigid, heavy continents could wander the Earth’s surface was preposterous to reasonable geologists. But Wegener continued sifting through the evidence that supported mobility. Over the next few years he followed his Frankfurt lecture with three papers and his 1915 book, which we have just noted. His Origins book – written in a popular and accessible style – was updated several times before Wegener’s early death, 15 years later. In those revisions, he answered detractors and built his defense from his observations and his immense library of correspondence with geologists. But Wegener the meteorologist was isolated and his idea received as much goodwill as most pseudo-science is given today (the difference, of course, drift would be modified into plate tectonics and eventually proven correct). Tomorrow, we conclude this saga and hear how one American geologist responded to Wegener: “Utter damn rot!” That sentiment, from a Princeton geology professor, was not a lonely debunking of Alfred Wegener. It was the nearly unanimous voice of reason that would prevail in earth sciences for another 50 years. 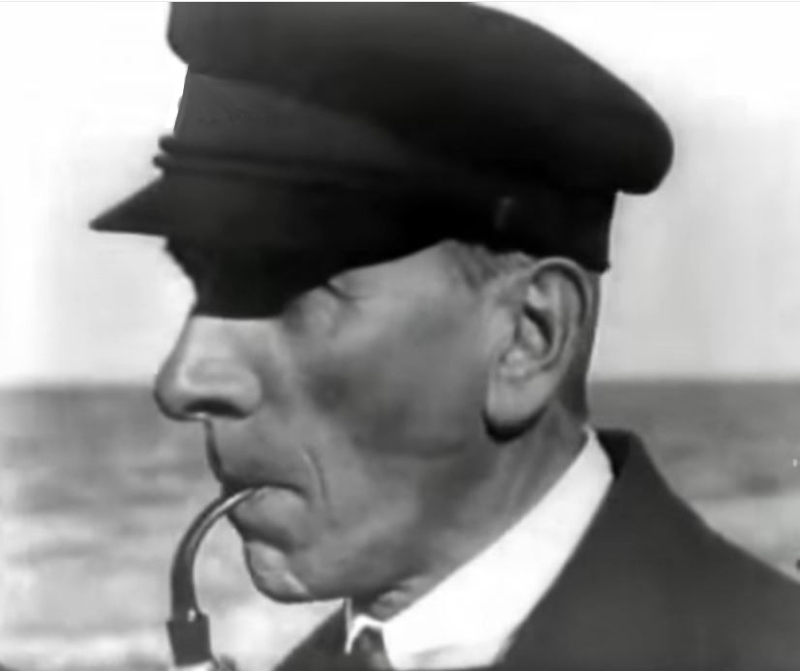 This entry was posted in Biography, Culture, Geology, History and tagged Alfred Wegener. Bookmark the permalink.